July 2004. Media magnate and the first female, self-made billionaire in U.S. history, Martha Stewart, begins a five-month prison sentence for insider trading and is forced to relinquish her title as CEO of Martha Stewart Living Omnimedia (MSO). Shares of stock in the company immediately plummet more than 8% and continue to freefall. By year’s end, MSO’s value is approximately half of its 2001 valuation. While the scale of this fabled corporate scandal is so outsized it hardly seems pertinent to most other enterprises, it remains a cautionary tale for those firms whose brand hinges on the identity of its founder or a sole, central individual. Nevertheless, there can be enormous value to be mined in character branding. Colonel Sanders, Walt Disney, Steve Jobs. What did these three disparate business moguls share –and, in fact, continue to have—in common? Each is eternally linked to the brand or product that he helped create. In these cases, fried chicken, family entertainment, and personal media products. Sanders’ likeness and Walt Disney’s signature were intentionally conscripted as essential elements of overall corporate marketing strategies decades before their companies achieved ubiquity. Steve Jobs’ ascent as the icon of Apple was more inadvertent, but it was quickly acknowledged by investors and media manipulators alike. Nothing fired up a new product launch like a Steve Jobs press conference. In the wake of Jobs’ death, the razor-sharp focus of Apple’s products and strategies seems to have become fuzzier. At least that’s the general perception as reflected in the correlating stock price. Clearly, when one individual becomes perceived as the company brand, fortunes can rise and fall on their actions, disposition or presence. Whether your business is on its way to national recognition, or you’re simply looking to carve out a comfortable, specialized niche for your products or services, let’s see if placing your personal imprimatur on your business makes sense. Are you a natural pitchman? Comfortable in any social or business setting? In front of a crowd or camera? Have your customers begun closely associating you with your products or services. You may be in the nascent stages of becoming your own brand. Starting back in the early days of television, car dealership owners started distinguishing themselves from the lot down the street by filming silly, late-night TV commercials. Nationwide, dozens of local celebrities emerged from these campaigns, and long after most of these individuals have ascended to that great big lot in the sky, the dealerships that bear their names live on. Are you, hands-down, an indisputable –maybe even acknowledged—expert in your field? If so, you should be sharing that knowledge with both existing and potential customers alike. Make your website and marketing collaterals fonts of valuable information and advice that establish you and your company as the go-to resource when someone is seeking an answer, solution or product for their particular needs. Whatever your particular trade, business or product segment may be, if the valuable content you provide is branded by your byline and an inviting, smiling photo, the resource you provide becomes personal. This type of self-branding lends itself to participation in trade events, professional symposiums and even media opportunities as well. Is your stock-and-trade in the form of packaged products? Food items, cosmetics, crafts and even clothing lines are good examples. You should decide if there’s an inherent value in making your name the brand versus a clever trade name. 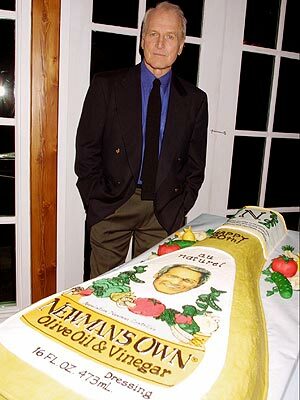 When Paul Newman started bottling his homemade salad dressing to raise funds for his charity, he never imagined that Newman’s Own products, to-date, would generate nearly half-a-billion dollars for various nonprofits. True, blue-eyed Paul was a well-known entity already, but he helped invent the modern-day celebrity-as-brand industry. And products such as Burt’s Bees, Mrs. Field’s Cookies and Angie’s List, to name a few, have triumphed without any celebrity cache, just name-value recognition. Only you can decide if there’s inherent value in making you the brand versus your company itself. If you do, try to avoid pitfalls like insider trading (Martha Stewart), DUI’s (Frank Perdue) or bad hair-dos (Donald Trump). They can all affect public perception and your bottom line if your image is compromised. Or play it safe, and do what the Washburn Crosby (now General Mills) Company did in 1921. They invented the perfect individual to become their brand persona—the fictional Betty Crocker. With a hair and clothing makeover every few years, she has remained the perfect company representative for nearly a century.